Let us help you find your way around Big Bear! We get it, finding your way around Big Bear can be confusing. That’s why we have compiled a list of the BEST things to do in Big Bear. Wheater you need to find something to do, grab a bite to eat or even find a place to stay for the night… The Cave has you covered! All you have to do is scroll through our business listings, and once you find the one you want… simply click on the business name or logo and you will be directied to their site. Its as easy is that! Don’t forget that big bear is well known for its wide selection of restaurants. But choosing that one perfect restaurant can be a little difficult. Let us take some of that stress away by recommending some of our favorite restaurants! Enjoy an entertaining and unique GastroPub Environment set with Craft Beers, Liquors, and Spirits along with a strapping selection of refreshing beverages. And of course what is a Restaurant without food? To compliment the wide choice of refreshments.We have a contemporary American GastroPub styled Menu Serving Gourmet Artisan dishes, daily for Lunch And Dinner. Enjoy a night out with friends for New American cuisine at the 572 Social Kitchen and Lounge in Big Bear Lake. Open daily from 11 a.m. to 11 p.m., this unique restaurant features familiar menu favorites like pasta, steaks and salads, along with more creative culinary dishes. The dishes served at 572 Social Kitchen and Lounge are made to satisfy both the big eater as well as those wanting a lighter, healthier meal. 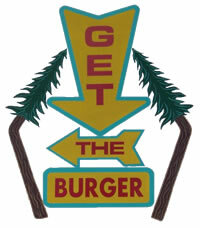 Whether you’re heading to Big Bear to hit the slopes and drink in a lodge or hit the trails and drink in a cabin, you’re gonna need to stop in and get the burger (seriously) at this ‘50s-style shack. Order Delivery From Your Favorite Local Restaurants View our list of amazing restaurants and choose from the different food options. Save time and money by ordering online. Payment is made at the time of delivery. 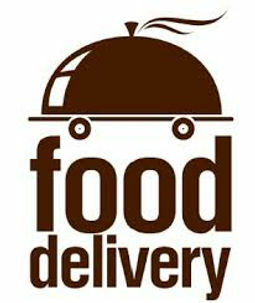 Residential or business delivery.Maggios Pizza, La Paws Mexican Restaurant, Nottinghams Tavern, Old Country Inn and Pong’s Sushi & Oriental Delights. We deliver for lunch,dinner and offer grocery services. Murray’s has been serving Big Bear for over 25 years. We’re a local Irish pub, but we love our bikers too. We have nine TVs with satellites on every one, so you can catch all the football games on Sunday. We have the lowest prices and best inventory of spirits on the mountain. Hungry? We got you covered, because we are the only bar in Big Bear that serves food till 2am. Mike, the owner, recommends the delicious 1/2lb burger! Looking for something to do before the concert? We have you covered. We have traveled the valley and came up with a list of AMAZING things to do up here, that we know you and your family will love! We have all the basic covered and then some!!! Big Bear Appliance provides high quality appliances to customers throughout Big Bear Lake, CA. We have a huge inventory of all major brands of new and used appliances. We are Big Bear’s only licensed distributor of Maytag and Whirlpool appliances. Our friendly and courteous staff is always at your service. 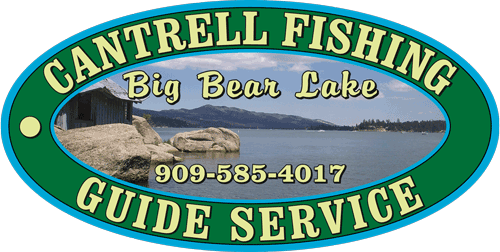 Since 1991, Cantrell Guide Services has been operating on Big Bear Lake. Owner/Guide, John Cantrell, Master Guides, Cliff Fowler and Scott Eberhard have a combined fishing experience on Big Bear Lake of over 100 years. They know Big Bear Lake and they know how Rainbow Trout think. Goldsmiths Board house is a full service retail and rental shop. One of Big Bear’s original ski rental shops, the Goldsmith family has been on the mountain since the 1940’s running resorts and teaching celebrities to ski. The retail shop boasts the top winter sports brands in the industry to fit any of your needs. lifelong love for hills, ramps, and pipes. That is why we have made it our mission to provide the highest quality gear so that you can maximize your performance and have the most fun possible doing the activities you enjoy. Whether you are a beginner looking for a great start, or an expert looking to maximize your game, we have everything you need. Dr. Joel Bickler and his team have one goal when it comes to exceptional dentistry, and that is to form a strong relationship with you and your family that’s built on support and trust. With a wide variety of general, restorative, and cosmetic services available, as well as valuable patient software resources designed to fully educate you about your oral healthcare, we’ll be sure to always leave you with something to smile about. Taz’s will customize your order. Featuring all natural remedies using organic, vegan, anti-fungal, antiseptic, antibacterial and anti-inflammatory ingredients, and essential oils. Miss Liberty is conveniently located “Where the Village Meets the Lake” on Pine Knot Avenue in Pine Knot Marina. Board the Big Bear Valley’s one-of-a-kind tour boat on breathtaking Big Bear Lake for a fully narrated 90 minute guided tour featuring highlights of Big Bear’s rich history dating back to 1845. Hear fun facts, folklore, celebrity sightings, and much more! Miss Liberty is conveniently located “Where the Village Meets the Lake” on Pine Knot Avenue in Pine Knot Marina. Come aboard the Big Bear Valley’s one-of-a-kind tour boat on breathtaking Big Bear Lake for a fully narrated 90 minute guided tour featuring highlights of Big Bear’s rich history dating back to 1845. Mountain style furnishings paired with affordability. Furnishing your mountain home has been synonymous with Haus and Home for over 50 years. Haus and Home has stood the test of time and provided value-priced merchandise from trusted home décor brands. Pricing that has only been found at furniture discounters is available at Haus and Home. Choose from upholstery, dining room, bedroom, lighting, area rugs, accessories, window coverings. Everything you need for your mountain home. Need to find a place to lay your head at night? Not a problem! We have a list of nearby hotels and lodges. Who knows, if you mention The Cave, you may get a killer deal!!! Award-winning Lagonita Lodge is Big Bear Lake’s perfect getaway resort. As a premier Big Bear Lakefront Lodge and Resort, Lagonita’s prime location on the south shore of Big Bear Lake offers guests an ideal setting whether it’s for a weekend or a week. Spend time with family, friends or a romantic partner, the Lodge’s condominium-style rooms provide the space and comfort to enjoy your time away from home. We look forward to hosting you soon! Escape to beautiful Big Bear with mild summer temperatures and snowy winters. Big Bear Lake is a year round resort with a beautiful lake for boating and fishing, the best slopes in southern California for skiing and snowboarding, the National Forest for hiking, biking, and horseback riding, a quaint Village full of shops and restaurants, golf, animal park and much, much more. For the time you do spend indoors, make sure it’s a premium vacation rental from Big Bear Cool Cabins. From scenic relaxation, to gorgeous Big Bear Cabins, to Over 100 Things To Do, Big Bear is the place to Reconnect. We understand it’s the memories that bring our guest back to this amazing area each season. The more detailed vacation vision you have, the more we can help create that experience! Pick from over 300 homes and Big Bear cabins ranging from rustic and simple to luxuriously grand. There is no better way to get submerged into the pleasant alpine atmosphere of Big Bear than at one of our big bear cabins. Our reservation experts are hard working individuals with an in-depth understanding of the needs and wants of travelers coming to Big Bear. Grizzly Vacation Rentals makes it easy for travelers to find and reserve the perfect cabin to suit their needs whenever traveling to Big Bear. Hillcrest Lodge is centrally located within a block of the Aspen Glen park, hiking and biking trails, Alpine Slide & snow play area and only a half mile from the Village and Big Bear Marina. There are restaurants, bakery, bike shop and a brewery half a block away. Each room has a Refrigerator, Coffee pot and Flat-Screen TV with DVD player. Free DVD movies for use during your stay at the front office. 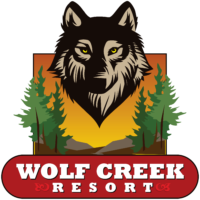 Just steps from The Village, snow play, and the lake Bear Creek Resort have both location and value on its side. With twenty nine recently remodeled properties ranging from hotel rooms to cabins, we are confident we will be able to find the perfect accommodations for your next vacation. Every room comes with a flat screen TV, free WiFi in lobby, nine-foot deep community pool, and hot tub. Select properties offer balconies and porches with log style benches for added comfort. Big Bear Getaway Cabins and Vacation Homes provide great lodging and perfect accommodations for your vacation in Big Bear Lake, California. Start your search for a Big Bear Cabins and Vacation Homes here! All of our Big Bear Lake Cabins and Vacation Homes come with fully equipped. All of our Big Bear Lake Cabins and Vacation Homes come with fully equipped kitchens and BBQs. Many of our Big Bear Cabins and Vacation Homes are pet-friendly. You’ll also find great amenities at many of our properties including hot tubs and game rooms! Located in the quaint and historic downtown of Big Bear Lake, you are within walking distance of shopping, restaurants, the Lake Boardwalk and local specialty shops! The Lodge is unique to the Big Bear experience with every room and suite offering quality service and highly desired mountain cabin atmosphere, yet with all the modern conveniences of free Wi-Fi, fitness facilities, event and banquet facilities, rental car counter as well as the inventive and renowned Stillwell’s Restaurant. 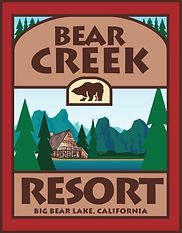 Conveniently located minutes from all of the great things that make Big Bear such a desired vacation destination, most of our rooms include functional wood burning fireplaces, and full size bathrooms and kitchenettes! Whether you’ve come for the world class vineyards or to relax lake side at Big Bear Lake, we have a perfect room, suite, or cabin just for you! Here at Fireside Lodge we know that while it is great to get away from it all, it is still equally important to have all of the comforts of home. This is why we offer rooms with in-room hot tubs and even private patios with BBQ grills. So if you are in the mood for a hot tub, or hot meal, we’ve got you covered. Whether you need a private relaxing get away for 1 or 2 people or a Private Vacation Home that can accommodate up to 35 people, we can make your next stay in Big Bear exactly what you envisioned. We provide quality Cabins and Vacation Home Rentals that range from Upscale to Rustic. Welcome to Bob Angilella’s Big Bear Real Estate Team website, Big Bear’s #1 Top Producing Team and Most Popular Website for real estate in Big Bear Lake. It’s your FREE Online Resource utilizing the latest technology to assist you in your search for Big Bear Lake Real Estate. Our website can be easily accessed by all mobile devices including; Smart Phones, iPads and Tablets. Our site utilizes Google Street View Maps in addition to the latest technology to help you make the right, educated decision.